Around 90% of the households in Singapore has an Aircon system. This system is deemed a necessity since because of Singapore’s hot and humid weather. 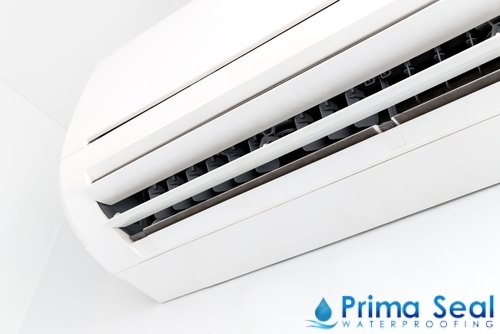 However, every air conditioner is bound to experience some kind of water leakage, especially when not regularly cleaned. 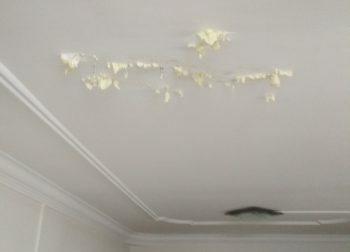 When faced with such a problem, immediately call either an aircon specialist or a water leakage expert to solve the problem. The more you wait, the worse the leakage might turn out – you know how troublesome that could be! What causes air conditioner to leak water? Take a look at some of the factors below. Before getting an air conditioner installed, make sure that you engage in the services of an experienced professional to ensure that the installation is done properly. In the case of window air conditioners, check that they are installed slightly lower at the back than the front. Water is then likely to be discharged from your house to the drain to the rear of the condenser. If your aircon is fixed very low at the front or back, then the water is highly likely to flow back to your room and can be the main reason why your aircon leaks water. De-humidification is supposed to take place during the entire aircon operation process. If you happen to notice ice building up, it simply indicates that the aircon system is having some problems. The formation of ice can, in turn, lead to several other issues. Not exactly sure how to inspect whether your aircon is forming ice? Take out the front grill and check whether the cooling coil has built up ice around it. 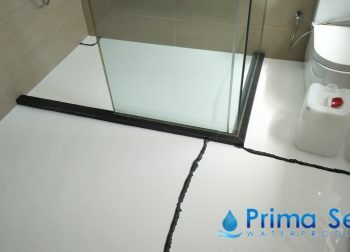 If you see any ice forming, don’t hesitate to opt for water leakage Singapore services in order to solve the problem. Having warm air infiltrate an air conditioner can create both dryer and cooler air. As such, condensation will take place. To check if it does indeed occur, look for any dripping or water droplets clinging on the front portion of your air conditioner. You can run the air-con for about 25 minutes and use a flashlight to inspect the front side of the aircon’s case. 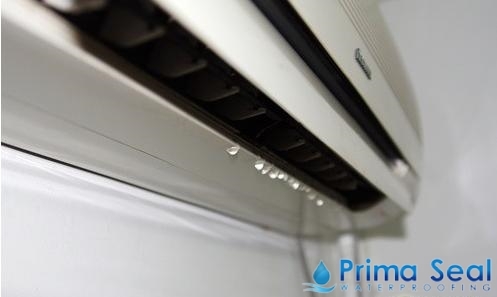 If you see any water droplets, this shows that your aircon has water leakage problems. The back of your air-con base should have a pipe that connects to the floor trap, which basically drains out the condensed vapor. If you’ve done your own inspection and notice that the trap floor is indeed blocked, contact a professional specialising in aircon pipe leaking services. There are pipes behind every aircon casing that enables the water to flow out from the front of the air conditioner to back. In cases where pipes are clogged, then water will accumulate, which can then create water leakages. Is your aircon leaking water in Singapore? Experienced professionals can easily solve your problem at a reasonable price! 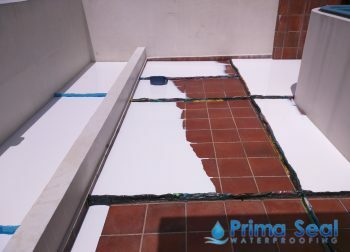 At Prima Seal Waterproofing Singapore, we offer a wide range of waterproofing methods that prevents messy water leakages.